We already knew that Disney was planning to continue making new Star Wars movies until people stopped going to them, something that isn’t likely to happen anytime soon (if ever). We know there are five additional movies planned between now and 2020. While that date seems a long way off, it’s getting closer everyday, and if the studio doesn’t want to fall behind, they’ll need to start planning the next chapter soon. Now, a new rumor says they’re not just looking at the next movie, but the next several. A new report in The Sun (so take it with a grain of salt) states that Disney executives are currently planning 10 Star Wars films -- the five that we already knew about, and five additional movies that could give us new Star Wars movies through at least 2025. Your next decade of Star Wars may have been set. The Sun quotes executive producer J.J. Abrams as saying that there are "really cool things being discussed" but all that really confirms is that they are talking about something. Exactly where the number of movies being planned comes from is more nebulous. If true however, the rumor gives us an idea where Disney and Lucasfilm are looking for potential new stories. Both Obi Wan Kenobi and Mace Windu are being mentioned in the Sun story as potential leads for new films. The rumor calls these "ideas," so it doesn’t sound like anything has been settled on. We’ve heard the discussion of possible Obi-Wan Kenobi films before, so it’s not too surprising that this is being considered. That idea has even been rumored to be a trilogy so it’s possible that they’re looking at making that the focus of the next set of films, with a couple more standalone ideas in between, much as their doing with the current set. The Mace Windu idea is an interesting one. Unless they’re thinking of setting it in between the prequel trilogy episodes, which we’d guess is unlikely, then we’d be looking at the first movie set prior to Episode I. Currently, Lucasfilm is filming Episode VIII with director Rian Johnson, and is in preproduction on the Young Han Solo movie (which is in the casting stage). Following Episode IX is expected to be a movie based on bounty hunter Boba Fett, but that movie has never been clearly confirmed. We know there will be a movie in 2020, but the details of what it will be have never been revealed. 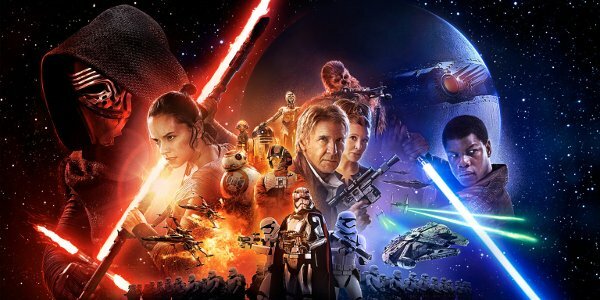 Are you ready for the next set of Star Wars movies? What parts of the galaxy far, far, away would you like to see turned into films? Let us know in the comments.